Infowise Alerts provide extensive flexibility that simply isn't available in SharePoint's out of the box toolset. When it comes to building comprehensive solutions, email alerts are very often one of the key parts of the recipe. 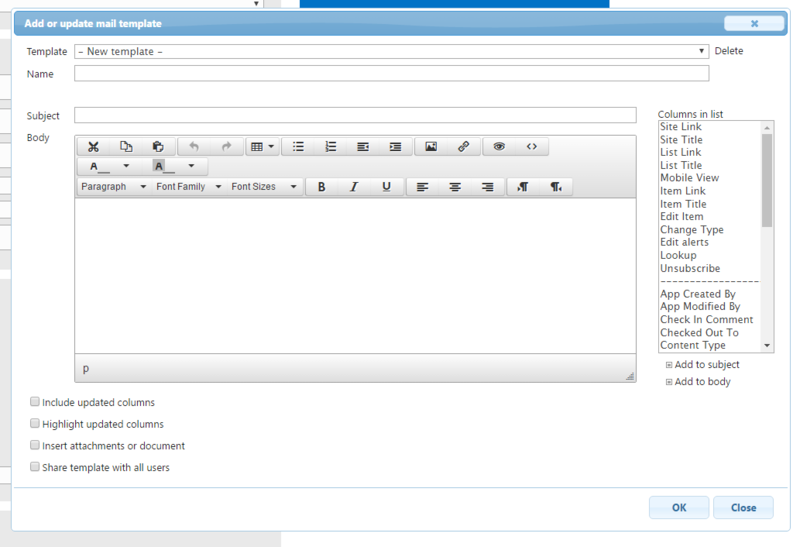 Alerts can range from very simple to highly configured to handle custom formatting and sophicated filters and rules. As with other parts of Infowise tools, taking some time to explore and experiment with the options allow you to fully understand use the functionality provided. Infowise Alerts work by pairing an alert rule which controls the conditions for sending the email and the email recipients with an email template which controls the content of the email. These alerts can be dynamically configured in ways that aren't possible with out-of-the-box SharePoint. In some cases, email alerts can have an important impact on the use of the tools and can contribute in a key way towards necessary benefits in the system.